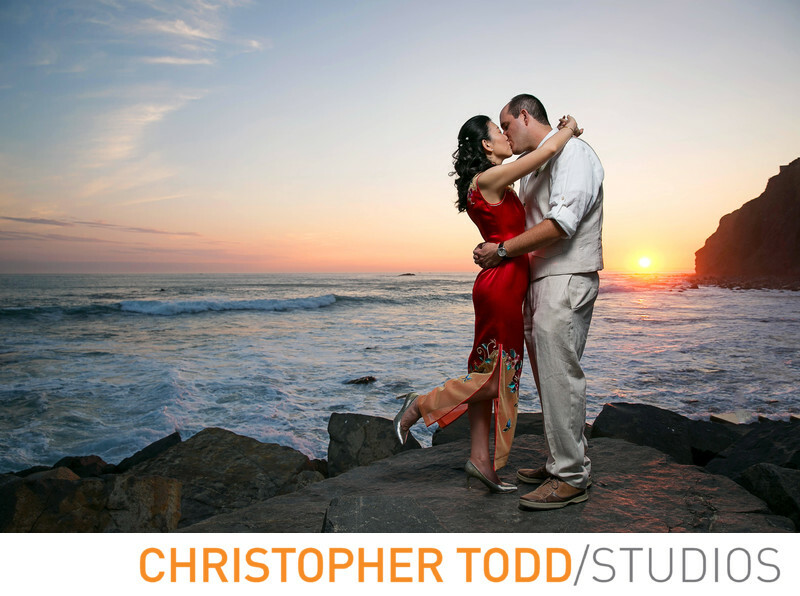 After the wedding ceremony at Ocean Institute in Dana Point we went out to the cliffs and took some amazing bride and groom alone portraits. The natural light was perfect as the sun was seetting. I love that the bride wore a traditional chinese red gown. 1/200; f/4.5; ISO 100; 24.0 mm.